Starting a clothing line can be a very rewarding experience for a creative entrepreneur with a vision. Whether you’re looking to create a simple line of printed apparel or you want to create an entire cut & sew collection featuring various pieces and seasonal additions, this post will show you how to start a clothing line. Depending on what kind of clothing line you want to create, there’s likely going to be many different steps involved in the process. The more involved you want to be in the sourcing and production of your line, the more time, effort and money you’ll have to invest. If you’re just interested in starting something quick and easy, there’s options for that too. In this post, we’re going to show you step-by-step how you can start your own clothing line whether you have a small budget of $100, or if you have more than $10,000 to invest. If you’ve ever been thinking about starting a clothing brand, look no further. This post has been in the works for nearly a year and along the way we’ve included the knowledge and experience of dozens of entrepreneurs and companies from the clothing industry. This industry knowledge ranges from a small brand that managed to launch a successful crowdfunding campaign that raised them $300,000 to put towards manufacturing their high-end merino wool clothing line, to a private label wholesaler of blank apparel who targets the B2B market, to a pattern maker and tech pack designer who works with aspiring clothing line creators to help bring their visions to life and finally we’ve gone right to the source to get insight from a factory that dyes yarn and weaves textiles. There’s a lot involved when it comes to starting your own clothing line, so let’s jump into it. You have a lot of choices when it comes to creating apparel and fashion products. If you’ve always wanted to start a clothing line, you likely already have a good idea of the particular products you want to create and sell. For others, creating a clothing brand may represent a unique and interesting opportunity to design a product that represents their personal style and personality, but they may be unsure of which products to sell. Regardless of which person you are, it’s important to carefully consider all clothing and apparel options before deciding to move forward. Each of these clothing products present their own opportunities, challenges, and available options for building a clothing business and brand around them. Below we will look into some of the most common clothing line business models to get a better sense of the work, time and monetary investment required for each. If you’re ready to start your clothing brand you’ll have some important choices to make at this point. There are several directions you can take to create your own brand that are pretty different from each other. Furthermore, and most importantly, the difficultly, costs and time input vary dramatically. The first and easiest option for starting your own clothing line involves printing your designs or logo on standard blank apparel. This is an attractive option for people with a low budget (less than $1,000) and those wanting to benefit from being able to set up a nearly fully-automated business. The biggest drawback to this type of business model is the lower profit margins and the lack of ability to differentiate your product on things like material, stitching and fit since you’re using standard wholesale clothing. The print-on-demand or direct-to-garment printing process uses a special digital ink-jet printer to print ink directly onto clothing and apparel. These digital printers are able to produce full color images with extreme accuracy. Print-on-demand printing produces high quality printed apparel quickly and efficiently. Because of this, there are no setup costs, unlike screen printing. This means that it’s easy and cost effective to print small orders (including just 1 unit). Other Notes: We recommend Printful and Shopify. When utilizing a clothing & apparel print company like Printful (which seamlessly integrates with your Shopify store), you can be up and running in a matter of hours for under $50. Once you receive an order for your online store, Printful will also receive the order automatically and begin the printing process and ship it to your customer on your behalf. Read more and learn step-by-step how to start a t-shirt business in under 24 hours. This option is similar to the option above, but a little more involved, giving you more options for personalization and higher margins, while costing more and taking slightly longer to get started. This method involves you purchasing blank clothing products that you would then need to customize by adding print, tags, labels, etc. Since you’re purchasing bulk inventory upfront, you’ll also need to figure out warehousing and shipping for your products. By purchasing blank clothing and apparel items upfront and in bulk, you get better pricing which allows for greater margins. As an additional benefit, by purchasing inventory upfront and not printing/shipping directly from the printer, you have greater control over the final product allowing you to add additional details like tags and custom labels. This allows you to further increase your brand’s perceived value to achieve greater margins. Finally, purchasing inventory upfront allows for more cost effective and equally high-quality printing processes like screen printing (as opposed to digital direct-to-garment printing as noted in the above method). Screen printing is an old technique that has stood the test of time. As one of the most popular methods for printing onto clothing and apparel, screen printing can produce durable and long lasting result. However, it has a labor intensive setup process which means screen printing is its most cost effective when printing in bulk. Other Notes: We recommend ThreadBird and Just Like Hero. ThreadBird is pretty much a one-stop shop, providing you with the blank apparel, the printing, as well as an array of clothing line finishing options like adding sewn tags, hangtags, folding and bagging of your apparel. Minimum orders begin at 25 pieces per size/style. Just Like Hero only provides the blank apparel which you would then have to find a printer for. While they currently offer a much smaller selection, the quality is much better, and the pricing is cheaper than lower quality blanks from large manufacturers. Furthermore, there are no minimum orders, making Just Like Hero ideal for someone looking to start a smaller, high quality, more custom and hands on apparel brand without the high startup costs. Custom cut & sew clothing means you’re doing everything. We’re talking about designing sketches, turning them into patterns, sourcing fabrics and manufacturers and paying for a full production run (which could be thousands of units). Making your own clothing isn’t for the faint of heart. This can be an intensive process that can take months at minimum to get up and running. You’ll need to find a manufacturer that is willing to do smaller runs, you’ll need to work with a pattern maker, you’ll have to source and test fabric, and create many samples before you even come close to a finished product. Depending on the exact clothing items you’re looking to produce, just to get a few samples as finished products can cost thousands. Once you have a finished product, you’ll need to produce a full run with your manufacturer, you’ll need to stock your inventory and develop a shipping strategy to get your clothes to your customers. Other Notes: The second part of this post will focus on all the steps and resources involved in developing your own cut & sew clothing line. Read on. Selecting a specific niche is important, and many times vital, for success in the clothing & apparel industry. Blindly trying to target large groups of people will leave you with a brand that speaks to no one. Generally, clothing with funny slogans, or hoodies for men are going to be too broad to attack since the markets for both are very developed. Niching down will help you better target your market, allow you to reach them more easily and be able to create more value for them. For example, instead of clothing with funny slogans, you might cater to a specific and passionate market like clothing with slogans for nurses or firefighters. Or, instead of hoodies for men, you could focus on manufacturing ultra thick/warm hoodies for people in cold climates. Your designs- whether they’re printed, embroidered, or the design of the actual garment itself- are critical. Not only does it need to look great, but it also needs to look great specifically in the eyes of your target market. Ultimately, you’ll lose if your clothing designs aren’t aesthetically pleasing and relatable to the buyer. Your designs don’t necessarily need to be complex, in fact many of the best selling clothing brands are very simple, however, they do need to connect with your specific audience/niche. You can fool someone once, but you can’t fool them twice. A pattern that fades and cracks or comes apart at the seams after one wash won’t create raving fans that come back and repurchase. Not all clothing is the same, there can be huge variances in the quality of clothing items. The quality and composition of the materials you choose will affect how the clothing wears, how it washes, how it fades, shrinks and ultimately how long it lasts. As we mentioned above, quality is paramount to your brand and its success, so it’s important to educate yourself and choose your materials carefully. It will always be tempting to sacrifice on quality for higher profit margins but you need to consider how the quality will affect customer’s decisions to share your brand with others and repurchase in the long run. Many clothing brands are built on a strong brand. Beyond the clothes themselves, a strong brand encourages and reinforces your target market to purchase, represent, share and repurchase your clothing line. Your brand extends way beyond the product itself and encompasses what the brand stands for and the lifestyle associated with it. The clothing design and apparel industry is one of the most saturated industries to be in. In order to effectively compete, you’ll need to have a point of differentiation that sets you apart in the market from all the rest. Working out of a factory has also given me an upfront view of how many people get into this industry with absolutely no clue what it’s going to take to build a brand that is even remotely successful. Blaming ignorance isn’t entirely fair… we had absolutely no clue how hard it would be either. However, we started Stock with a clear reason of what differentiated us, why people would be interested in buying our stuff, and how we would go about selling. This is a step that I see a lot of aspiring makers skip. – Jim Snediker | Stock Mfg. Co.
1. Design – If you plan to have graphics or images on your clothing pieces, the designs (the style of designs and quality of designs) can help set you apart from others. 2. Fit/Style – If you plan to create your own clothing from the ground up, the actual fit and style of the clothes can be an important point of differentiation. Example: Sharp Casualwear provides upscale clothing to men 5’8” and under who are seeking stylish staples that fit well. Perhaps the original online brand that became famous and known for a better fit is Bonobos. Bonobos decided that they wanted to create a better fitting men’s pant. Their better fit helped establish them early on and turned their brand into a 100 million dollar company. 3. Brand – With all else being the same, people will buy from the brand who’s story they can more relate to. Furthermore, a strong brand alone that connects with consumers can allow you to demand a higher price point, even if quality is relatively the same as other common and less expensive brands. Example: Billionaire Boys Club throughout the early 2000’s sold t-shirts for nearly $100 that simply said “Billionaire Boys Club”. Although arguably their’s were the same quality as hundreds of others on the market, consumers bought into the young, urban brand and its story. 4. 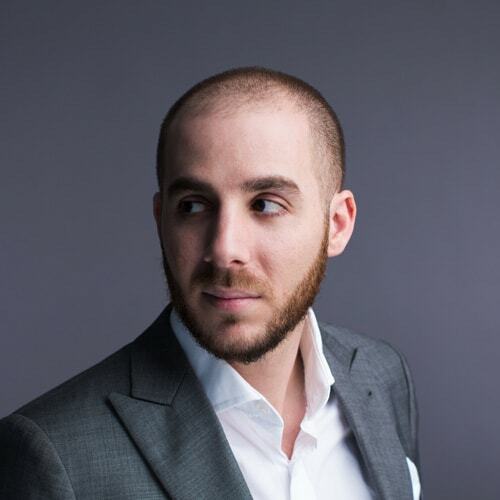 Niche – The niche you choose to operate in and your target market, if defined well enough and if it’s under-served, can be in itself a point of differentiation. Example: See Ya Never targets digital nomads that work via the internet and travel the world. Even with thousands of clothing brands on the market, there’s very few, if any targeting this particular group of people. 80’s Tees sells exclusive designs from 80’s movies and TV shows. Not only are the designs appealing and nostalgic, but many of the designs are licensed making them exclusive and nearly impossible to find elsewhere. Finally, Canada Threads focuses on clothing & accessories that uniquely resonate with Canadians including designs relating to the beloved Canadian House Hippo. 5. Performance/Material/Quality – The type of material plays a part in differentiating your clothing pieces from the rest out there, how they perform for the wearer (are they comfortable, itchy, restricting, warm, light, airy, do they wrinkly easily, etc.) and their overall quality including any seams, buttons, the weight of the fabric etc, will all play a role in your consumer’s satisfaction. Example: Unbound Merino ran a successful crowdfunding campaign raising $300,000 and are building their brand based on the performance of their clothing: Casual wear made from 100% super soft merino wool which has superior breathability and odour blocking abilities, allowing this line of travel clothes to be worn many times without washing. With some of the basics out of the way, the next step is for you to develop a basic (but critical) business plan to map out your decisions and the direction for your clothing company. 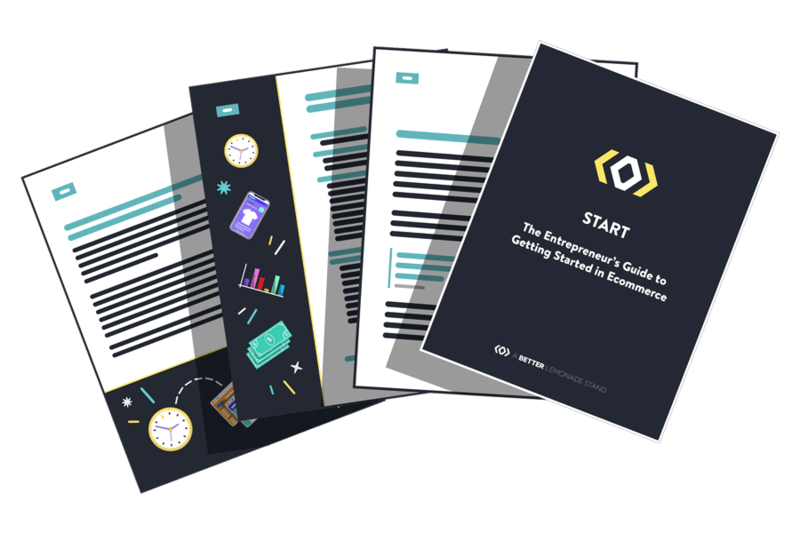 Bonus: We recommend our exclusive One Page Ecommerce Business Plan to help you build your business plan and strategy for your clothing line. 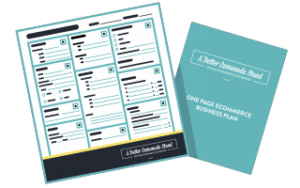 Including a full-page worksheet and a 40 page accompanying ebook, the One Page Ecommerce Business Plan is formulated to guide you through the 12 main areas of your business’ foundation so you don’t miss any important steps or overlook any important numbers. The next step is to develop a brand persona for your new line. Crafting a brand for your new clothing company is paramount. With so many clothing companies and brands out there, you’ll need to differentiate yourself. Your brand will be a big part of that. Ultimately, every business has a brand and every new business will have a brand. Crafting your brand upfront gives you the chance to better define and communicate your message and story. If you’re planning on a custom cut & sew clothing line you may want to consider a dedicated branding agency to help you craft your brand. If you’re planning on a print-on-demand or a private label brand where you’re investment and budget is much smaller, developing your own brand can be a worthwhile and low cost option. Below, we will quickly introduce you to several key elements to develop your clothing company brand, however, for a complete breakdown of all brand elements, as well as the guide and worksheets to define all your brand elements, please download our branding guide, A Better Brand. Defining your market is important for any brand, but especially for brands in the clothing and apparel market because it’s extremely saturated. By broadly targeting large groups of people, you’re setting yourself up for failure right from the beginning. What you want to do is niche down and create segments. What type of clothing and apparel products do you want to make? Who is going to purchase your product? What specific value will your product or brand bring these people? What will be unique about your product? Brand pillars are a few key words or attributes (usually 3-4) that embody what your brand is about and serve as a starting point for developing your brand persona. Later, these words are used as a check point against most activities of the brand. For example, when creating your website, an advertisement or even a conversation with your customer, you should check it against your brand pillars. Ask yourself: does my design/website/ad/conversation represent the essence behind those words? Your brand pillars act as a simple tool for keeping your brand consistent throughout all of your activities and serves as the foundation for your brand. Your brand visuals are the common brand elements that many people immediately think about when they think about a particular brand. This includes your logo, brand colors and fonts, as well as your overall design and photography aesthetics. Creating a Moodboard: A moodboard is the perfect way to start pulling together the visual style you’re going for. Essentially a moodboard is a collection of images, photos, designs, colors and and any other snippets of multimedia you find from around the web that serves as an inspiration for your brand. While there are many tools available online to help you collect these elements, the easiest way tends to be using Pinterest. Selecting a Color Palette: Your next step in the branding process is to narrow down a color pallette to use. Selecting a color pallette up front will help keep your brand looking consistent through all channels. You’ll want to start by paying particular attention to the dominate colors used in your moodboard since these are likely colors that immediately caught your eye. From there we also suggest you use a tool like Adobe Color to review other community inspired and voted color palettes to get some additional ideas. Finally, Adobe also offers a tool for helping choose and refine your color palette, check it out here. Bonus: Check out our free exclusive ecommerce branding guide to help you develop all the critical components of your brand including your brand persona as well as all of your brand visuals like your moodboard, color palette, logo and photography style. 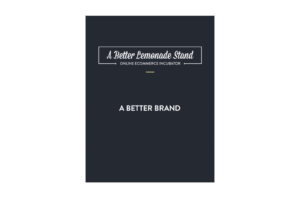 This guide includes a PDF ebook as well as several worksheets to help you craft the perfect brand for your clothing line. Note: At this point, we will continue on the path of talking about creating your own custom cut & sew clothing line. If you’re planning on creating a print-on-demand clothing line, you can skip several sections and go to Creating Your Online store. If you’re planning to create a private label/wholesale clothing line, you can skip to Branding Your Clothing & Packaging. For someone completely new to the fashion business this is an important step in the process: consider partnering with a professional who knows what they’re doing and how to do it properly. Professionals such as pattern makers, tech pack creators, design partners, materials partners and production partners are highly experienced in their respective fields and it’s their job to make your clothing line a reality in the most efficient way possible. Without the help of professionals, things like pattern making and tech packs can be a nightmare for not only you but for the future manufacturer you plan to work with. This is where researching your manufacturer in advance pays off for you though: some manufacturers offer professional product development services, some will only manufacture for you if they have done your product development and others don’t provide these services but they have partners who they prefer working with. All of this information will be outlined on the manufacturer’s website or by contacting them directly. When it comes to the product development of your clothing line, there is generally going to be a common path to follow with some common terminology no matter what types of clothing products you’re developing. First we will look at a what the general process of clothing product development looks like, then we will discuss the process in more detail. Designs – This generally refers to the initial design concept and are usually represented as sketches either on paper or digitally. While your patterns might start out as concept sketches, eventually you’ll likely turn them into digital sketches using a program like Illustrator. Tech Pack – A Tech Pack is essentially a blueprint for your apparel product, providing a manufacturer with all the details and technical specifications for production. This includes the design, measurements, materials and any accessories (zipper, buttons, etc.). Pattern Making & Grading – Pattern making is the process of turning your technical drawings into patterns that can be used for production. Grading is the process of taking a single pattern and grading the pattern up or down to create the additional patterns for all the other sizes in your apparel line. Sourcing – Sourcing involves finding, communicating, vetting and working with multiple manufacturers to determine which one is best suited for full production of your particular products. Samples – This involves a manufacture producing a small batch of samples to provide you with a proof of concept as well as to identify potential issues and improvements prior to a full production run. Production – A full product run is the mass production of your apparel products. Depending on the products and the manufacturer, this can be hundreds of thousands of units. Below, we will go into greater detail about each of these steps in the process and provide you with more content and resources to get you started. However, it’s important to note that there are resources available that will help guide you through the full process, helpping you each step of the way. Your clothing line will begin as sketches. Most likely simple sketches in a notebook. This is usually the best route to go to get the ideas out of your head. As you begin sketching your ideas, also think about adding any specific notes or unique ideas you have for your clothing as well as any special features and functionality. The initial goal is just to start developing your ideas and bring them to life. Furthermore, the benefit of sketching out your ideas is that they can be shared. This is important because unless you’re a clothing designer (you’re not), you’re going to likely need to enlist the help of a fashion designer or illustrator to help you pull together and refine your sketches into something more realistic and thought out. You will need to enlist the help of a qualified pattern maker to take your idea and turn it into an actual pattern that can then be turned into an actual piece of clothing. A pattern can then be used to help create a tech pack. A tech pack is essentially a blueprint for each garment. Your tech pack tells your manufacturer all the information required to transform your design into a final product. A proper and complete tech pack will reduce errors in production, save you money, prevent miscommunication, and ultimately bring your product to life, exactly how you envisioned it. Once you’ve researched your own brand the next step in this process is to research potential clothing manufacturers. Find out things like their location, capabilities, heritage, reputation and what other brands they’ve worked with to get an idea of what they can offer you. It’s important at this stage to really be thorough as small things such as location can have a massive impact on communication, turn around time and shipping when it actually comes to working with a manufacturer. Not every manufacturer provides the same services so it’s important to know the pros and cons of as many manufacturers as possible so you can find the services you’re looking for without compromising your brand values. Starting with a specialized clothing manufacturer can get you up and running in the most efficient way possible. All of the clothing manufacturers on this list are leading industry clothing production companies and with 49 verified manufacturers there is a clothing manufacturer to suit any job. With factories that specialize in activewear, women’s clothing, men’s clothing, kid’s clothing, lingerie, and more there are plenty of options and a variety of companies to choose from so you can make sure you pick the right one that suits your needs. Maker’s Row – Maker’s Row has nearly 10,000 factories to explore, including over 3,000 in apparel, all based in the USA. Sourcify – Sourcify has relationships with hundreds of Chinese manufacturers and will work with you to find and vet the right one for you. Sqetch – Sqetch is similar to Maker’s Row but focuses on connecting you with European manufacturers. 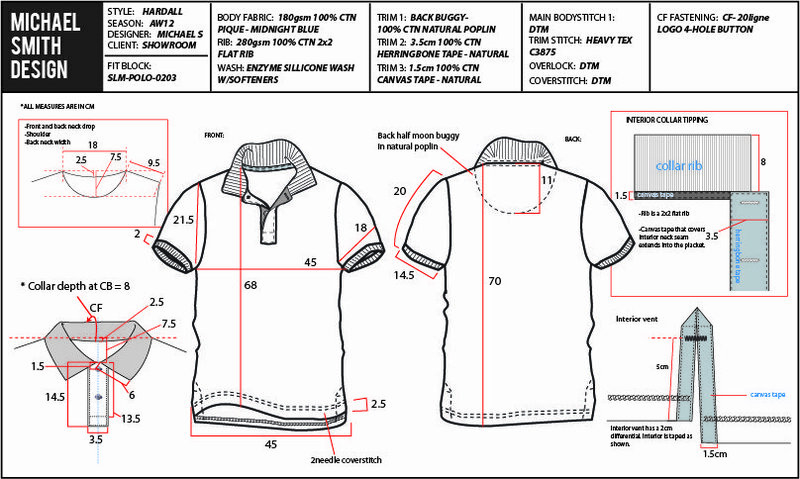 FactoryFinder – FactoryFinder can help with material selection, samples and production by connecting you with the right clothing manufacturer. SourceEasy – SourceEasy is a complete platform to help you with the full clothing production process. Bonus: Check out our exclusive Clothing Manufacturers Directory to help get your search started. The Clothing Manufacturer’s List can be the first and best step you take to creating your own clothing line so have a look and get started creating with industry experts. DON’T Come across as a “tire-kicker.” If your interest in manufacturing doesn’t seem to be serious or genuine you may not get a response. Manufacturers don’t want to waste their own time working with people who aren’t serious when they could be working with people who actually want to build and grow their business. DO Be polite. You and your manufacturer will be working together in this processes, they don’t solely work for you so treat them with respect and be mindful of their requirements, services and processes. DO Be clear. In the best interest of yourself and your future manufacturer it’s best practice to be clear about what you’re looking for, the services you require, your timeline, etc. Be upfront about what you need and don’t leave any room for ambiguities in the event that it will create more confusion down the road. DO Follow up. It’s okay to follow up after your initial email to ensure the factory received and read the message, so be prepared to send up to three follow up emails spaced apart by a couple days to prompt a response from a factory. This will make you seem eager and serious to the factory which, if you’re new to this process, is what you want. DON’T Give too much information. Introduce your company, the products that you’re looking to create with them, what services you’re looking for and ask what further information they need from you. Give them enough information to know your intentions and that you’re serious about the inquiry, but don’t overload them yet with your brand goals, material choices and timelines. Click here to learn more about how to construct the perfect initial contact email. Now is the time to learn more about the factory, see their workspace in action and to communicate further with the manufacturer. This stage will give you an initial glimpse of what it will be like to work with this factory in the long run so it’s important to identify your respective strengths and weaknesses now so you can reduce the possibility of headaches and potential miscommunications in the future. This is the time to let the manufacturer in on your brand goals, where you see your brand starting off, what you see your brand scaling to and let them know how you want them involved in that process. All the time you spent defining your brand in the first step should be communicated to the manufacturer to see if they understand where your brand is going and if they can get excited for your brand too. Now that you can see yourself manufacturing your clothing line with a factory or two it’s time to get some samples made so you can truly experience what your potential product will be like. No matter how well your designs, patterns and tech packs have been there’s always opportunities for adjustments and corrections so it’s strongly encouraged that the sampling step is never skipped. It can be easy to want to jump straight into production, especially when time and money are on the line, but in the end a whole line of garments that don’t fit properly will cost you more than just having a few samples done right from the start. At this stage it is appropriate to have more than one factory make samples of your garments. Feel free to shop around so you’re absolutely sure the factory you pick will be producing the garments you want at the quality level you want. The final step of the manufacturing process is really just the first step to building your own clothing brand so now it’s time to work with your manufacturer and produce your garments. At this stage it’s important to stay five steps ahead of everything: make sure deadlines are adhered to, be available to answer any questions your manufacturer may encounter at this point and be diligent with quality control. Once production for one season of garments starts the planning for the next season begins, so now that you have the right manufacturer for your business let their skills and services help build your brand to where you want it to be. Budgeting out product development and production costs is something you need to determine prior to contacting factories in order to be able to understand all aspects of production such as what fabric you’ll be able to use and whether producing overseas or in your home country is your best option. The price of professional product development services such as pattern making, tech packs, design development, etc. After considering these factors you’ll be able to communicate your budget to your future factory and find one that fits your requirements. Pricing out all of these factors is also helpful in determining whether or not producing in an overseas factory is more realistic for your business, bearing in mind that while the cost of labor may be cheaper, the cost of shipping between you and the factory will increase, as will turn around time. Nonetheless, understanding the cost of product development and production helps you and your future manufacturer make the best choices for your business. The branding of your clothing line has everything to do with how you’ll be perceived by your customers. Branding tells the story of your company and your packaging is one of the few parts of your brand – besides your clothing items themselves – that your customers will actually be able to touch, feel and see. It engages your customers, it can make them feel valued and thoughtful packing can increase the perceived level of quality your customers associate with your brand and your clothing items. This is why it’s important to seriously consider how you package and present your clothing items, no matter what items you’re selling. There are two different types of options when it comes to branding your packaging: the actual elements that you use for the packaging itself, and the additional extras you can include with the package to elevate the unboxing experience. The package elements are the more functional items that are required to actually ship your clothing pieces, whereas the added extras enhance the experience and help to make your customers feel valued. These are the functional parts of a shipping package that you’ll need in order to ship your items from you to your customers. You won’t need every single one of these items, but they’re all options that you can use depending on what you want your packaging to achieve. Depending on the clothing items you sell, you may have to ship them to your customers in a shipping box. Shipping boxes are sturdy and are a good option for shipping heavy or bulky items (such as coats) or delicate items that need to be protected throughout the shipping process (such as beaded clothing pieces, or items with 3D appliqué). Shipping boxes, however, can add weight and size to your package making it more expensive to ship, but if it will protect your clothing items while they’re on their way to your customers, it’s a small price to pay upfront that should decrease future damaged items and returned products. Keep in mind that your shipping boxes don’t have to be boring cardboard boxes. There are plenty of services available to entrepreneurs and small businesses that can create custom boxes for your products at competitive prices, whether you’re looking for something sleek, simple and plain or something colourful, bold, patterned and vibrant. You can also use these services to get your brand name printed onto the box itself for a more professional unboxing experience. Another great alternative for shipping clothing items are shipping bags, otherwise referred to in the industry as poly mailers. These are an advantageous option because unlike shipping boxes they don’t add much weight or bulk to your package, so you won’t be adding extra shipping costs to your package. They are less sturdy than a box, so they’re a good option if you’re shipping clothing pieces that aren’t easily damaged and can be bent and folded throughout the shipping process. They do come in plenty of sizes so whether you’re shipping one item or a few at a time, you should be able to source a selection of different sized poly mailers to meet your customer’s needs. Plenty of brands ship clothing items to their customers in poly mailers, so it really is an appropriate method for the industry. There are plenty of places online where you can get custom poly mailers made for your business, so you’re able to add your logo, brand colours or fun patterns to make it more exciting for your customers. If your clothing items need a bit more protection but you don’t want to completely upgrade from a poly mailer to a full on shipping box, you have another option: bubble mailers. As the name would suggest, they’re like poly mailers but they have a layer of bubble wrap included on the inside of the mailer which helps protect whatever’s inside. They don’t offer the same sturdiness that shipping boxes do, but they help to cushion the contents of the mailer throughout the process and are less bulky than shipping boxes. If using packing peanuts and crinkle paper isn’t your style, if your products don’t need additional protection or your using a poly mailer, tissue paper may be an ideal option to enhance the unboxing experience for your customers. Tissue paper makes the package feel more like a gift, which can make your package seem thoughtful and your customers feel valued. Tissue paper is an easy way to add to your packaging without adding any extra bulk or weight, and you can have it printed with your logo or choose coloured or patterned paper to add some extra flair to the package. Use an assortment of patterns, colours and styles to keep repeat customers interested. Depending on your brand’s style, using packing tape that’s colourful, patterned or printed with your logo may be an interesting way to decorate your shipping box or package. Not only is it decorative, but packing tape is functional and adds another layer of security to keep box openings shut and sealed throughout the shipping process. If you don’t need something as heavy duty as packing tape to seal your boxes or mailers shut, stickers can be an alternative option that also can add to the branded packaging experience. Get your logo printed on them, your brand’s tagline, mission statement, fun facts about your brand or any other piece of info you want to share with your customers for an added layer of personalization. Alternatively, use stickers to brand plain shipping boxes or mailers, or include them inside your package for customers to use or share as they please. Stickers are super versatile, so think about how you can use stickers to enhance the unboxing experience. These aren’t necessary to include, but if you’re interested in elevating your unboxing experience, making it memorable for your customers and making them feel valued, then including one or two of these options can help you to start out in a positive way. If you need more information or inspiration on ways to utilize these ideas, Selz offers a great list on various ways to promote a product. Including packing inserts that notify your customer of an upcoming promotion, or share a discount code or deal they can use for themselves or share with a friend is a pleasant surprise your customers will likely appreciate when opening their package. It shows thought and care from your end, and it’s also likely to encourage them to purchase with you again, which is advantageous for you. If you want your customers to remember you, refer you to a friend or send you feedback about their experience with your business or your products, consider including your business card so they can hold onto it or pass on to others. It’s a small token, but it shows that you value their input and experience. This is the ultimate way to make your customers feel valued and shows an immense amount of consideration and thoughtfulness. Custom, hand written notes with personalized messages are a great way to connect with your customers and make them feel appreciated. While it likely won’t be possible to include a handwritten note for all of your customers, consider including them for your very first customers, your most frequent purchasers, for customers who leave glowing reviews on your website or ones that have taken the time to send you valuable feedback. Your customers will likely feel very touched by your effort and will likely share their experience with their peers or on their social platforms, which is positive exposure for your brand. Who doesn’t love to receive a gift?! Using gifts as a way to thank your customers for their purchase is a surefire way to capture their attention and make them feel valued. It doesn’t have to be anything big (some companies include candy bars to treat their customers) as you just want it to be an addition to the package, but something small can be just as appreciated by your customers. If you don’t want to gift an item from another company, consider including a sample of one of your own products. Again, it doesn’t have to be anything big such as another item from your clothing line, but an accessory that complements their purchase could be appreciated. Clothing labels are a piece of fabric that’s attached to the inside of clothing items that typically include the brand’s logo. While it’s required in most places for clothing items to have care and size labels, brand labels aren’t necessary but they add a thoughtful touch to the clothing piece. They also often help customers to remember where the clothing item is from once they’ve integrated it into their wardrobe, and they can add to the overall feel of the clothing piece. Some labels can be scratchy and uncomfortable for the wearer, which can make the garment seem cheap, while others can be well sewn into the garment and made of a cloth material that’s much more high quality. Think about how you want your brand to be perceived and choose a type of label that fits accordingly. It’s also important to consider the label types there are and where they can be located on the garment. If you want to increase your brand’s awareness, you may want to consider placing brand labels on the outside of your clothing items such as on hems or cuffs, but if you want to maintain relatively inconspicuous brand placement, you may just want to include the labels on the inside of your garments. Manhattan Fold Labels: These are quite similar to Center Fold Labels in their appearance, except that the top of the label is folded over to give a more finished and high-quality look. This type of label is typically sewn into the collar of a garment. The End Fold Labels: These have more of a finished and high-quality look to them because the edges are tucked in at the sides. These types of labels are typically printed with brand logos are they’re quite small. Straight Cut Labels: These have no folds at all, which means they’re typically sewn on flat, straight onto the garment. They’re commonly placed on the outside of the garment as a decorative patch, usually with a brand logo printed on them. Center Fold Labels: These are the most common type of apparel label. They’re usually made of woven materials and commonly attached to the inside of garment collars. The Mitre Fold Label: These are similar to the End Fold Label as it’s quite small, shaped like a thin rectangle and is typically printed just with a brand logo, however this type of label hangs down a bit farther than the End Fold Label instead of going straight across. Loop Fold Labels: These are commonly sewn on the inside of garments, typically close to the hem line in shirts or the waist band in some trousers. This type of label is usually reserved for care and size information, not brand logos. Clothing tags, otherwise referred to as hang tags, are usually added to the garment at the very end of production and are typically secured to the collar label of some garments, or otherwise gently pinned or secured to the garment by piercing a small hole through the fabric. Hang tags are meant to be removed and typically include additional information about the garment or the brand such as detailed information about the care requirements that can’t fit on the inner label, or the brand’s ethos, mission statement or purpose behind making the garment. Hang tags aren’t necessary but can add an extra branding element to your clothing pieces that can make them feel more high quality to your customers. You can use hang tags made of thick card stock, manila ones for a vintage look or even silicone ones for an ultra tech/high performance type of look. If you’re serious about building a brand or learning more about digital marketing & optimization and strategy, you need to go with a more customizable option. 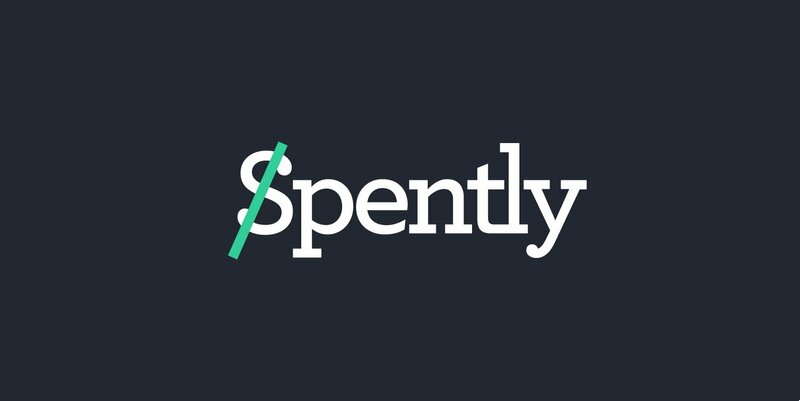 We can’t recommend Shopify enough. Not only is Shopify one of the easiest platforms to get started with but it’s app store is the most robust and has a host of print-on-demand clothing printers and dropshippers if you choose to go that route (Read our Shopify Review). Shopify enables you to build your own online clothing store wherever you are with the ability to sell to customers all over the world. Setting up your store with Shopify is easy, and you don’t have to worry about your website’s security so you can be sure that you and your customer’s sensitive information is protected when shopping on your site. Shopify is the most recommended ecommerce platform and your best option when it comes to starting your own clothing store online. When setting up your clothing store on Shopify you’ll want to take your brand into consideration and make use of all your brand visuals. Implement your color palette, use your logo, take effective product and lifestyle photos of your clothes and create a glowing “About Page” so your customers can learn more about who your brand is and what you stand for. These are the types of things that will make your clothing store stand out to your customers, and they’ll be more trusting when it comes time for them to make a purchase. You want your website to install confidence in your customers, so take that into consideration when setting up your online clothing store. 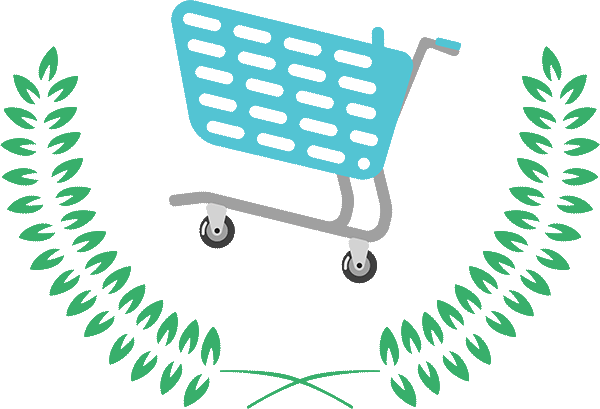 Bonus: Check out our exclusive Ecommerce Platform Recommendation Tool. 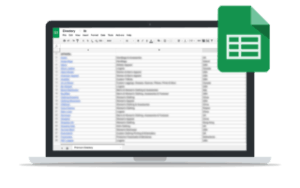 This tool will ask you a series of questions to help you narrow down and choose the best ecommerce platform for your specific needs. Another aspect of your online clothing/apparel store to take into serious consideration is your store’s theme. Selz offers a variety of options for building your own online store including a variety of simple and beautifully designed themes. Themes are the general outward look and feel of your website, and depending on the products you sell some themes may be better than others. Since you’ll be starting a clothing/apparel store, you want a theme that shows off your garments to their full potential so you’ll want something that enables you to post lots of images. Shopify includes plenty of free and premium themes to choose from but if you’re looking for more theme options, Out Of The Sandbox creates premium Shopify themes and they are one of the best, if not the best, places to get them. Bonus: Shopify has some themes that specifically cater to clothing, fashion and apparel brands. Check out their collection of Clothing & Fashion Themes on Shopify. Figuring out how to ship your products to your customers can be a confusing and daunting process if you’ve never done it before as there certainly is lots to take into consideration. What should you charge for shipping? How much does shipping cost? What about returns? What shipping carrier should you use? Should you start off with a shipping and fulfillment warehouse? Will your customers get charged duty and customs fees? What about shipping labels? What about tracking and insuring your packages? Charge your customers the exact shipping fee: This means that your customers will be made aware of the shipping costs while they’re checking out and they’ll have to pay the exact amount it costs to get their order shipped to them. Charge your customers a flat shipping fee: This means that you can instate a flat shipping fee such as $6 for domestic orders and $12 for international orders, no matter how many items each customer orders and no matter where they’re located domestically or internationally. Some orders will cost you more to ship and some will cost you less, but if you budget it correctly it should even out. Offer your customers free shipping over a certain threshold: For example, you could offer all customers free shipping if they spend over $100. This encourages customers to purchase enough products to meet that amount so they don’t have to pay for shipping. By making sure they spend a certain monetary amount, it makes it more worthwhile for you to ship their package for “free” because the cost of shipping is absorbed into your profit margin on the order. Offer your customers free shipping based on their location: In this case you could offer free shipping for all domestic destinations and any international locations will have to pay a calculated rate or a flat fee. This encourages your local customers to purchase from you without having to pay any shipping fees and depending on your domestic shipping rates you should be able to absorb the cost in your profit margin, assuming you price your items accordingly. For international customers, however, you’ll be able to fund the shipping cost fully or in part by their calculated or flat rate fee. Offer your customers free shipping on any order: Some businesses choose to offer free shipping to all customers because it’s easier for them to calculate, more attractive to customers and results in fewer cart abandonments. The cost of shipping will be absorbed by your profit margin, so take that into consideration when pricing your items. Shipping is never free. No matter what it says on any website, “free shipping” is not free for the business, the cost is just being absorbed in some other way. It’s also no secret that shipping costs are one of the most likely reasons for shopping cart abandonments, so in order to combat that many ecommerce stores offer free shipping to decrease shipping cart abandonments. Take both of these things into consideration when pricing your items so you can gauge whether you’ll need to charge higher prices for your items so you can afford to offer free shipping. The cost of shipping depends on your carrier, where you’re shipping to and where you’re shipping from. There are so many variables involved like weight and size of that package as well, so your best bet is to use a shipping calculator to determine how much it would cost you to ship your packages. Many carriers have shipping calculators available on their websites so you can price out the cost of your packages on there. You basically have two options when it comes to handling returns for your customers: you can provide your customers with pre-paid postage in case they need to return an item, or you don’t provide you customers with pre-paid postage and they will have to assume the responsibility to pay for postage in the event that they need to return an item to you. Providing pre-paid postage for customers offers them a seamless shopping experience with your company, however not offering free returns can actually affect customer’s decision to purchase from you at all. Check out this blogpost from Shopify that discusses shipping returns in more detail to learn more about it and how it affects your business. Most popular shipping carriers offer a business account program so businesses can get perks such as better order management, discounts on shipping and/or free shipping supplies. Basically it makes it a little bit more easy and less expensive for you than just shipping packages without a business account. Inability to use your own branded packaging: Some warehouses require that you use their own shipping packaging, so you won’t be able to use any boxes, poly mailers, tissue paper, stickers, etc. that have your own branding on them. It can also be difficult to add other extras such as promotional inserts, custom notes, samples, etc. Cost: Shipping and fulfillment warehouses can take the shipping process off your hands but at what cost? It costs you to store your SKUs on your warehouse’s shelf space so depending on how quickly your product ships out to customers and how much product you’re selling, it may or may not be a worthwhile cost for you. Handling Returns: Since your business is just one of many at a shipping and fulfillment warehouse, returned items may be handled in an inefficient manner, depending on the warehouse. Make sure you look into each warehouse’s return policy before you work with them. Shipping Costs: Shipping and fulfillment warehouse generally have to pay less to ship packages, so you’ll likely pay less too. Simplified Process: No need to wait in line at the post office or deal with couriers to get your packages shipped. Saves You Time: All the time that it takes you to pick, package, and send packages can be put to other uses such as managing customer inquires, advertising, or just growing your business in general. Generally speaking, if you’re just starting your online clothing store, handle the shipping and fulfillment process yourself, initially. This gives you the chance to learn the best practices for shipping your own products, you can put your own personal touch on each package and you can use your own branded packaging materials. If your just sending out a few parcels a day, it won’t take up too much of your time to send them through post offices or couriers. If you anticipate having a large customer base to start off with and predict that you may not be able to keep up with orders packing and shipping them yourself, have a look into shipping and fulfillment warehouses to see what your options are. It’s important to be aware that you as a business are not in control of the duties and custom fees your international customers may be charged upon the entrance of their order into their country. Customs and duties fees are managed and imposed on your customers by their country itself, you don’t have the power to prevent them or influence their cost. You do, however, have the ability to warn your customers about potential customs and duties fees they may face so that they’re not unpleasantly surprised when their order from you arrives. On your shipping information page, include a section about customs and duties fees and let your customers know that they may be charged these fees by their county and that your business has no control over that. Many customers now expect to have their packages tracked and expect to receive email updates on the whereabout of the packages. If you’re interested in giving your customers a streamlined and professional shopping experience, look into what tracking options your shipping carrier has available. It almost always costs extra or will mean that you’ll have to upgrade to a more expensive service, but it could be very worthwhile for both you and your customers. Most shipping carriers offer some kind of insurance, but it may not cover the entire cost of your orders, depending on the price of your items. If you sell high-priced items or just want the peace of mind that you’re insured for any lost parcels, it may be worth looking into a third party shipping insurance provider such as Shipsurance or InsureShip. It’s important to be aware that the shipping process can be complex, and it can take a while to set up and get used to all the different steps, systems and processes. It’ll probably be a learning curve at the start, especially if you’ve never shipped a large quantity of orders before or if you’re launching to an eager audience, so give yourself time to set up your shipping systems properly so it doesn’t affect your business too much. Once you get a system going though you’ll likely get the hang of it and be able to make small improvements or scale your processes as needed. Read more about shipping your products here. We hope this post has provided you with very clear insight into the steps, systems and processes it takes to start a clothing line. It may seem overwhelming at first if this is all new to you, however, just focus on one step at a time and grow from there. No matter what kind of clothing line you want to create whether it’s just your own line of t-shirts or an entire collection of cut & sew garments, the information, tools, resources and experiences provided in this guide should help you get where you want to go.